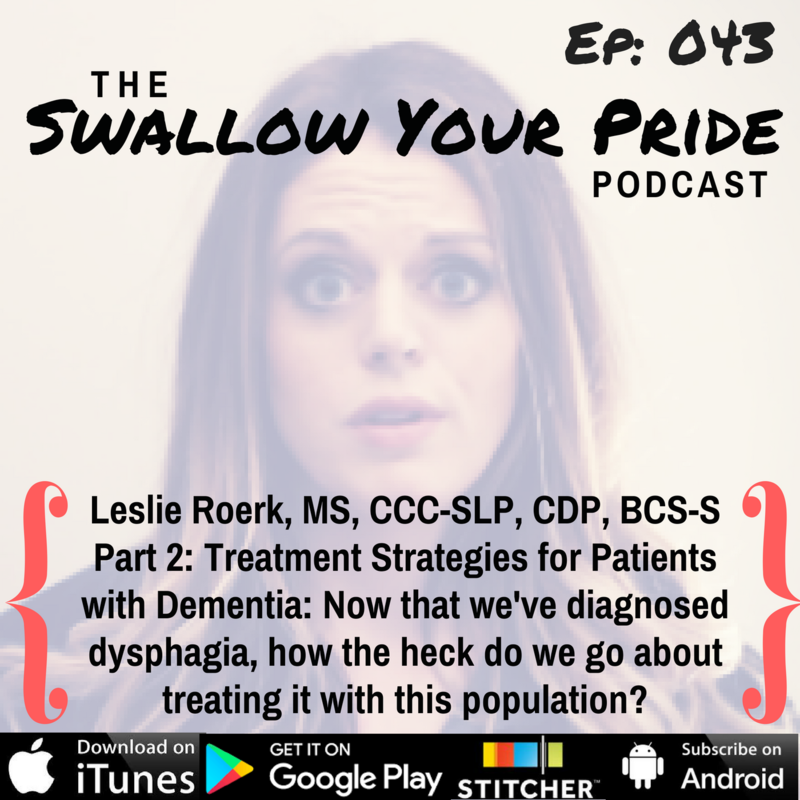 How do you assess dysphagia in our patients with dementia? Just the normal oral mech exam? A FEES? A VFSS? Do you have to get creative? Maybe? 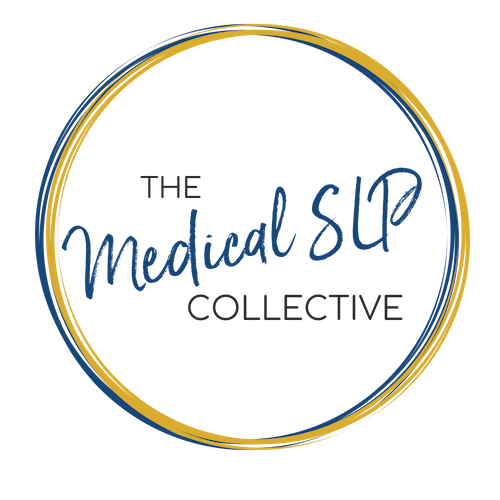 We really just need to know a few key points about our patient and their progression in order to know the best way to assess their swallowing. 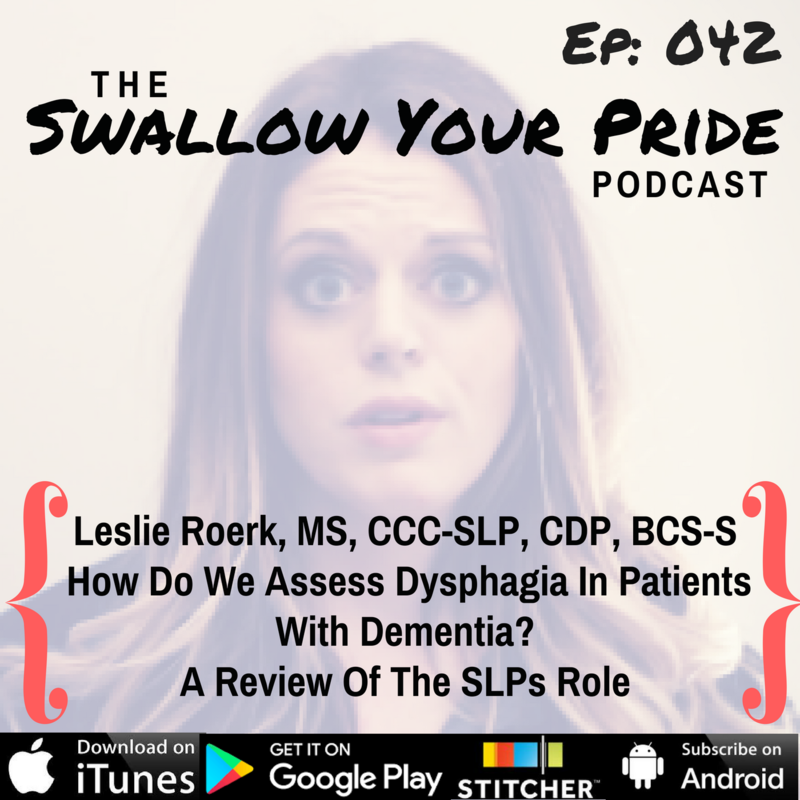 In this episode, Leslie Roerk dives in to everything the SLP should be aware of when assessing dysphagia in the dementia population, and the importance of utilizing the Global Deterioration Scale to guide us. She provides us with some great tips so that we are able to evaluate our patient’s feeding, swallowing, behavioral, and/or communication needs to provide patient centered care. Download Ep. 042 Show Notes!